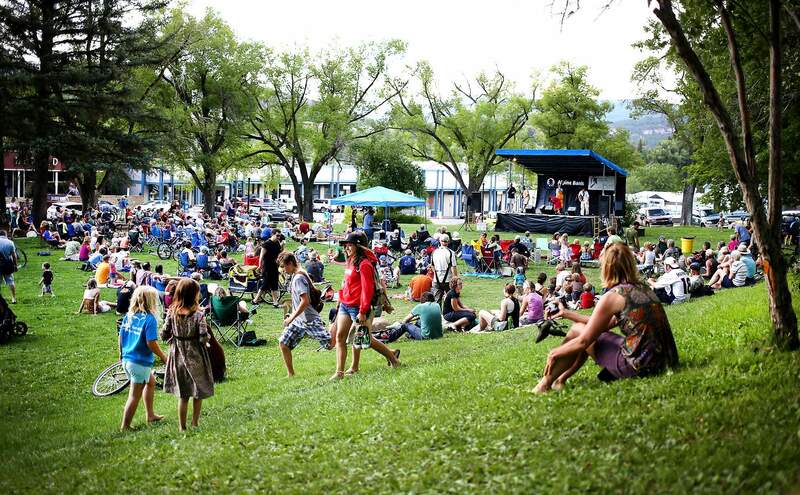 With Durango 9-R School District leasing Buckley Park to the city of Durango, events such as Concert Hall @ the Park now will be able to serve alcohol on park grounds. 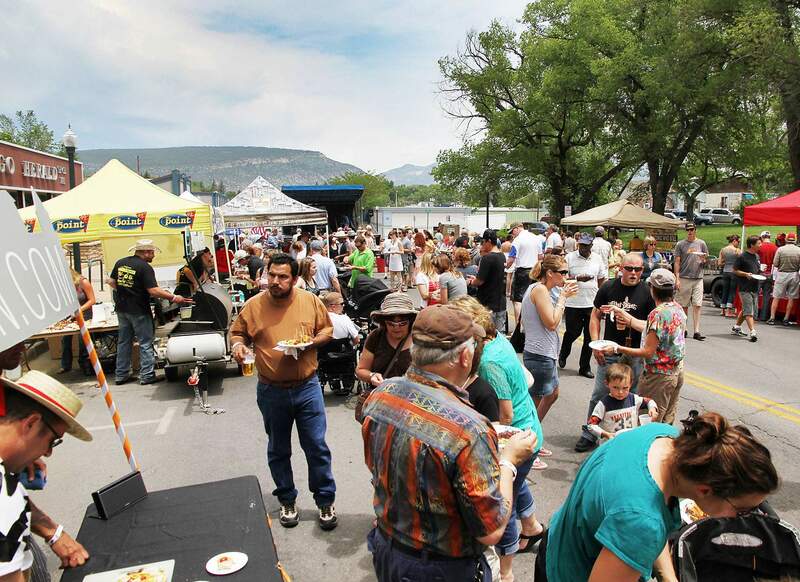 With Buckley Park under lease to the city, events such as Men Who Grill, fundraiser for the Womens Resource Center, would not have to close down Main Avenue if alcohol is served. Since its dedication in 1985, Buckley Park has been a hub of recreation and municipal controversy. In the 1970s, it was nicknamed “Stoner Park” and famed as a drug destination, a chronic problem – so to speak – that dogged the park through the 1990s. In the 2000s, upstanding residents made it an honest woodland, largely through the Rotary Club’s vigilant cleanup efforts, until the wider citizenry got wind of proposed alterations, including architectural heresies such as a fountain and an amphitheater, and controversy erupted in the court of public opinion, including the editorial page of this newspaper. Today, residents continue to hotly debate the merits of Buckley Park’s mud bench as both an aesthetically bizarre example of environmentally sustainable design and a postmodernist joke on us all. But Buckley Park’s most exciting era may yet lie ahead: The city of Durango just signed a 10-year lease from longtime owner Durango School District 9-R, and the contract explicitly allows the consumption of alcohol on the grounds in certain circumstances. With respect to City Councilor Christina Rinderle, who has said Horse Gulch’s network of trails is to Durango what Central Park is to New York City, Buckley Park is clearly the people’s park. Even in snowstorms that impress thrombosis’ imminence on the healthiest youths, Durangoans go to Buckley Park to air their political grievances. It’s where we make music, play games of bicycle polo, give thanks every November and, whether reverent before God or full of agnostic good cheer, gather to light the town Christmas tree. As a piece of property, Buckley’s lure is obvious: It is the only park large enough to hold downtown events. Yet its value hasn’t always been obvious to Durangoans. When the school district tried to sell it in 1995, not one bid came anywhere near the $1.1 million asking price. For a while, the old Burns Bank even inquired about making it a parking garage. According to architect and city councilor-elect Dean Brookie, whose former office overlooked Buckley, just a decade ago, the park was unkempt and filthy, less like Eden than Bosch’s Garden of Earthly Delights. “Nefarious might be the term. I’d be working at night, and cars would drive up and people would jump in and out and ride around the block,” he said. Brookie said the park was purged of its drug-deal connotations thanks to efforts by the Rotary Club, which worked with the school district to clean up the park over the course of months. Buckley appears to have taken to life on the straight and narrow. In an email, Durango Police Department spokesman Lt. Ray Shupe said police had been called to Buckley Park only twice in the last month and a half. By comparison, Shupe said they’d been called to Durango Skate Park 11 times during the same period: four for vehicle stops, twice for extra patrols, once for a suspicious call, once for a parking problem, once for an open-container violation, once for found property and once to execute a warrant. For years, the school district has leased the park to various organizations, including the city, at a nominal fee to use for events for afternoons, evenings and weekends. While anyone who witnessed last year’s parade of cyclists in tutus cannot accuse Buckley Park of hosting tame events, until now, they have been scrupulously dry affairs. To accommodate the district’s insistence on temperance, the city often has shut down the 1200 block of Main Avenue and allowed vendors to erect speakeasies in the street. But going forward, the city can allow the sale of alcoholic beverages on the grass. Laine Gibson, chief finance officer for the school district, said negotiations with the city resulted in a clause explicitly permitting the consumption of alcohol within Buckley Park. “It’s specifically in the lease, and it wasn’t in our rental agreement,” he said. “This is the first time we’ve entered a long-term property agreement. Before, we really didn’t have anything with the city. We had it with people who wanted to use the property, and they were short-term rental agreements,” Gibson said. Many are thrilled with the city’s lease. While Buckley Park is a vital public space, the school district has always been somewhat at a loss as to what to do with it. Brookie said stricter notions of what is appropriate govern the school district’s actions, which was just one reason that the city was better positioned to manage the sale of alcohol within the park during events. “Nothing against the district, but it’s not their mission statement to host events,” Brookie said. Jasper Welch, owner of Durango Space – which overlooks Buckley Park – likewise welcomed the lease, saying the demise of the mud bench was likelier under the city’s stewardship. The school board hopes the city makes for a good tenant. At the last board meeting, board member Andy Burns asked whether there was any provision in the lease that would prevent the city from allowing or serving marijuana within Buckley Park in the event it was legalized. Most people say such concerns are paranoid. Brookie said he certainly didn’t think the city was planning to allow anything of the sort, but such an eventuality might be an example of big legal changes reaping unintended consequences. “It’s the perfect place for events and community gathering,” Brookie said. “I don’t see it as a big change now that there’s liquor involved,” he added. After all, he said, it’s just moving from the streets onto the grass.